Our paper “Common and unique networks for proactive and reactive inhibition revealed by independent component analysis of fMRI data” was published today in Neuroimage. In this paper, we used independent component analysis to study the brain networks supporting proactive inhibition (action restraint) and reactive inhibition (action cancellation). In contrast to the common assumption that action restraint and action cancellation depend on one and the same network (analogous to a brake pedal that is pushed down partially to slow down and completely to stop), we showed that action restraint and action cancellation are supported by a set networks, some of which are activated in association with both types of action control (common networks), whereas others are activated only in association with one type of control (unique networks). I'm a cognitive neuroscientist interested in the mechanisms of self-control and decision-making. 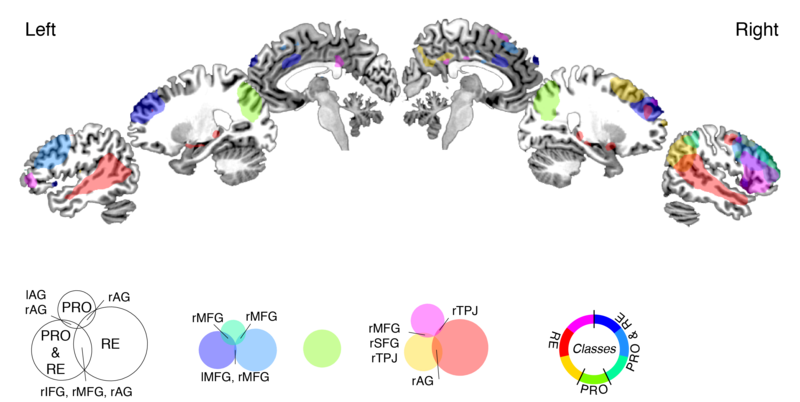 In my research I employ various techniques, including brain imaging, brain stimulation, and computational modeling. I work as a postdoc in the lab of Roshan Cools at the Donders Centre for Cognitive Neuroimaging.